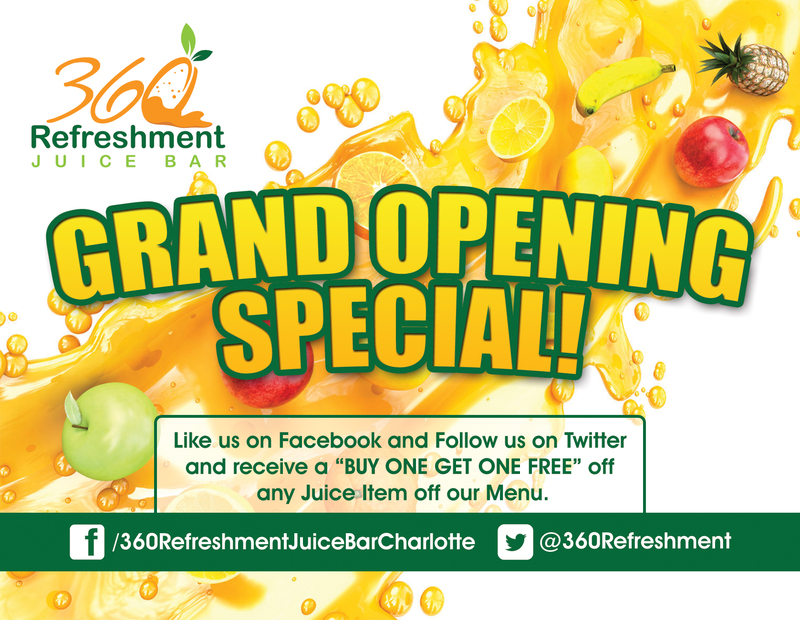 Our Client http://www.360RefreshmentJuiceBar.com will be opening for business in August 2017 and we are so proud to be a part of their success. Latoya and Cortney, then owners and our Clients, allowed us the privilege of designing everything from their logo, website, business presentation, folder media kits, brochures, flyers, postcards, spokesmodel videos and even allowed us to set-up their social media profiles and optimize them. We love our work and our Clients love what we do for them!